Two WSOP bracelets in subsequent years. 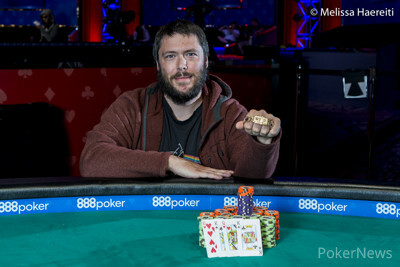 Loren Klein pulled off the elusive feat by capturing WSOP gold and wasted no time as well. Klein plowed through the field, held the chip lead from start to finish and eliminated his final three opponents in the span of just twenty minutes. For winning Event #41: $1,500 Pot Limit Omaha, Klein received a sweet payday of $231,483 as well as his second bracelet. Klein revealed a bit about himself during the post-win interview, “I’ve been playing for 10 years. I grew up in Michigan and have been slowly moving west. I live in Reno now. Just to be close to the Mountains and Nevada." Chun Law finished in second place ($143,017), Danny Wong ($100,360) got the bronze medal and Jeff Williams ended in fourth place ($71,423). Six-time WSOP bracelet winner and Poker Hall of Famer TJ Cloutier finished in tenth place ($12,611). 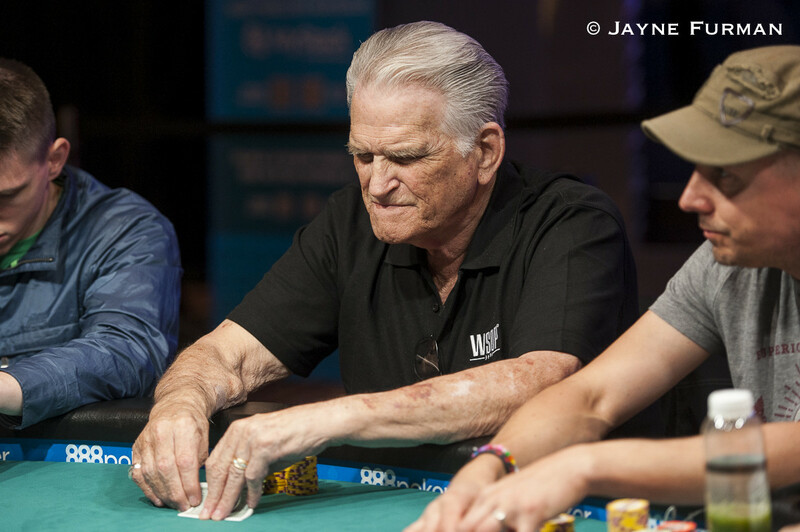 The other six-time WSOP bracelet winner Jeff Lisandro got eliminated in 16th place ($7,995). Eighteen players returned for the final day of Event 41, which each of them already secured of $7,995. That ended up being the payout for Shankar Pillar, who's top set got outdrawn by Klein. Klein rivered a flush and scored the first of his many knockouts throughout the day. 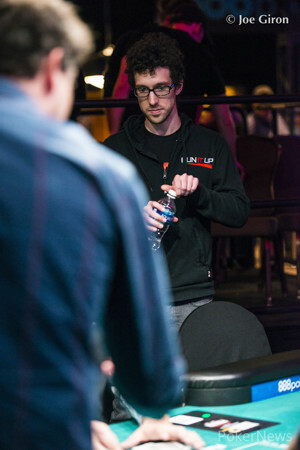 Jonas Van Baelen finished in 17th place for $7,995 and Jeff Lisandro had to settle for the same shortly after. The six-time WSOP bracelet winner, who captured one in Pot Limit Omaha back in 2010, was preflop all-in with kings and jacks against Sergej Barbarez' pocket aces. Lisandro hit a jack on the turn but Barbarez, who held three aces in his hand, spiked the case ace on the river to send the Australian to the rail. Lance Howard, Fabian Schoneck and Robert Park scored the payjump and each of them received $9,962. Unsurprisingly, it was Klein who busted both Schoneck and Park, putting his quota for the day already at three. Mark Wabha finished in 12th place by missing with ace-king-queen-trey against Barbarez' pocket kings. He was shortly followed by Raymond Walton, creating the unofficial final table of ten. Poker Hall of Famer TJ Cloutier was the first casualty at the last table. The six-time WSOP bracelet winner got it in with pocket aces on a ten-seven-four flop. Chun Law held pocket sevens for a set and Cloutier failed to catch up. The poker legend added $12,611 to his $10M+ in lifetime winnings. Benjamin Juhasz (9th - $16,215) also busted with pocket aces, this time on a king-seven-four flop. Klein held two pair with seven-six-five-four and knocked the Hungarian out after the board didn't change. The next one to go was former soccer star Sergej Barbarez (8th - $21,172). The German resident, who played 47 matches for Bosnia's national team, held ace-king-four-deuce on an ace-ace-ten flop. His opponent Law was behind with ace-queen-jack-nine but was drawing live with three kickers. A jack landed on the river to fill Law up and Barbarez was eliminated. 2015 Dragonball Z TGC world champion Timothy Batow finished in 7th place for $28,066. Batow's two pair were no match for Klein's nut flush, who eliminated his fifth player of the day. 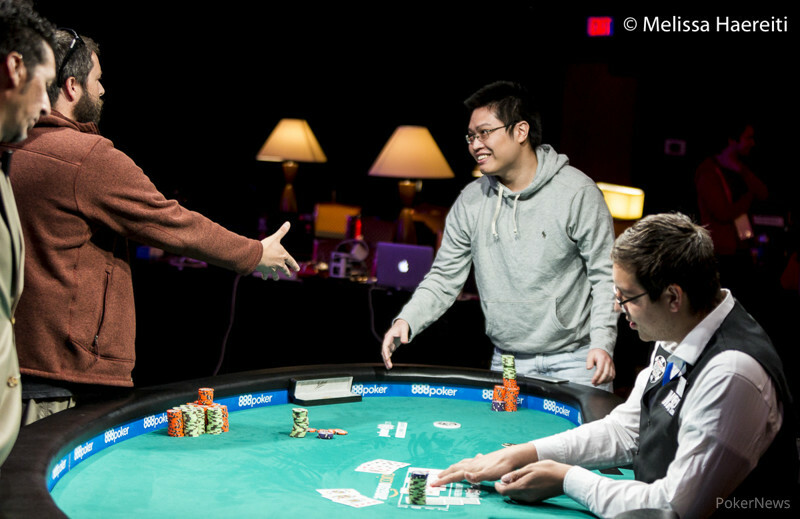 Oskar Silow quickly followed Batow after Danny Wong rivered a backdoor flush against Silow's top two pair. Silow cashed $51,599 for finishing sixth. Jordan Spurlin ended in fifth place ($51,599) after missing with ace-queen-ten-nine against Jeff Williams' kings and fives. Williams wasn't able to enjoy those chips for long, as Klein once again scored an elimination. After a preflop all in, Klein hit the nut straight on the turn to force Williams to collect his $71,423 at the payout desk. Within 15 minutes after Williams' bustout, Klein had decided the tournament. Klein took care of Danny Wong in 3rd place ($100,360). Wong got it in with top pair and a flush draw against Klein's bottom two pair. Klein filled up on the turn to leave Wong drawing dead. 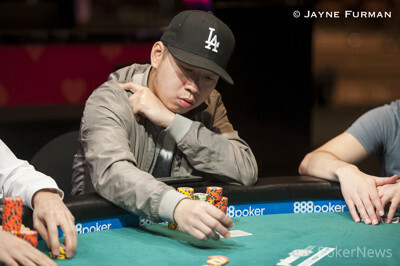 In the first all-in confrontation of the heads-up, Chun Law got eliminated in 2nd place ($143,017). On a king-eight-six flop with two hearts, Law got it in with jack-nine-nine-seven with two hearts. Unfortunately for Law, Klein had flopped the nuts with king-king-queen-ten and also held a queen high flush draw. Law needed to hit one of his straight cards to survive but failed to do so. The American received $143,017 for his second place. After winning last year's $1,500 No Limit Hold'em / Pot Limit Omaha tournament, Loren Klein now has a bracelet in Pot Limit Omaha as well to make him a two-time winner! Keep following throughout the rest of the series as PokerNews continues to report all of the action live from the floor. 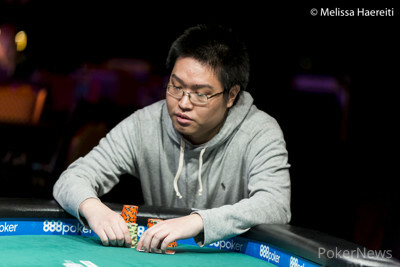 Chun Law opened to 125,000 on the button, Loren Klein three-bet to 375,000 from the big blind, and Law called. The flop was and Klein slid a large pile of chips forward. Law quickly shoved and Klein called even quicker to try and win his second bracelet. "Nuts!" cheered Klein as he raised his hands up in the air. "I have a straight draw," said Law, who had to strip the hearts from his potential list of outs. The turn brought the and the river the . Law just missed out on his first bracelet but received a massive $143,017 in compensation. After winning a bracelet in last year's $1,500 No-Limit Hold'em/Pot-Limit Omaha tournament, Klein does it again this year and is now a two-time WSOP bracelet winner! Danny Wong limped and then called a raise by Loren Klein to 150,000. 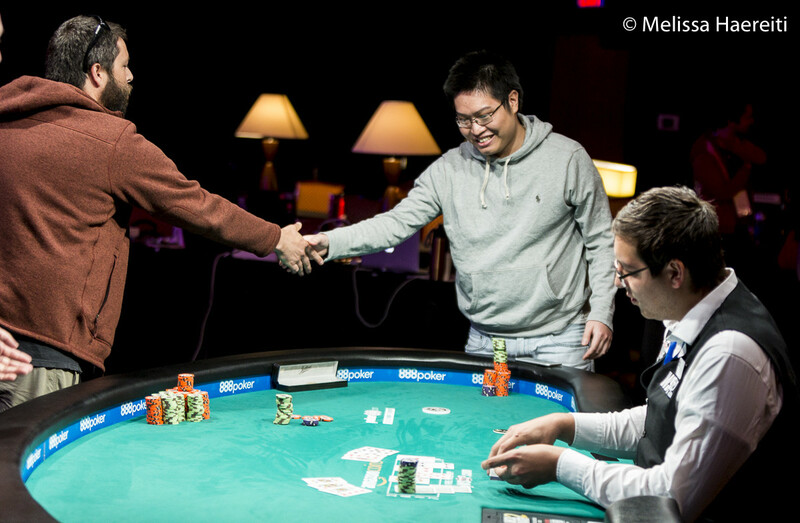 The two went to a flop and Wong check-raised pot to a bet of 200,000 from Klein. Klein three-bet all in and Wong called off for his tournament life. The board ran out , leaving Wong drawing dead on the turn and was escorted to the payout desk to pick up his cash of $100,360. Jeff Williams started as the short stack after the dinner break and became even shorter after losing nearly half his stack to Chun Law. Williams had opened with a pot-sized raise to 175,000 but opted to check-fold on an board with just 225,000 behind. In the next hand, Loren Klein opened to 150,000 from the small blind. Williams shoved and Klein called. "You're all over me," laughed Williams to Klein after the dealer had spread out a board. Williams said his goodbyes in fourth place and just missed out on his third six-figure cash at the WSOP. 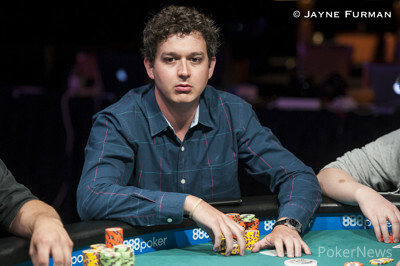 Loren Klein has picked up a lot of small-sized pots to get his stack up to over three million. Another two levels are in the books and with six levels completed on the day, the players are rewarded with a 60-minute dinner break. Full updated counts will follow soon as they are available. With the Run it Up Legion behind him, Jordan Spurlin was unable to get any help from the board and has been eliminated in fifth place, earning his second career WSOP cash, worth $51,559. Spurlin raised pot preflop and was three-bet by Jeff Williams, enough to put Spurlin all in. Spurlin called. The board ran out and Spurlin took his leave, joining his friends on the rail.